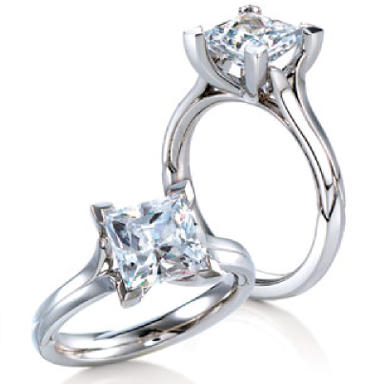 Princess-cut square solitaire engagement ring named after the Scottish island of Tahay. Perfectly balanced, classic yet contemporary design, with a sleek setting that elegantly showcases the centre gemstone. Also available with pavթ diamond-accented shoulders.